We are a nonprofit service organization serving as a catalyst for sustainable positive change in the lives of local women and girls. Our members are typically college graduates with a desire to serve the community’s women and girls, focusing on students in elementary, middle, high schools and college. Reading is Fundamental, which is the distribution of books to elementary children in the Lucia Mar Unified School District (LMUSD) along with reading presentations. These books are distributed to children attending schools such as Grover Beach, Oceano, and Fairgrove Elementary Schools. 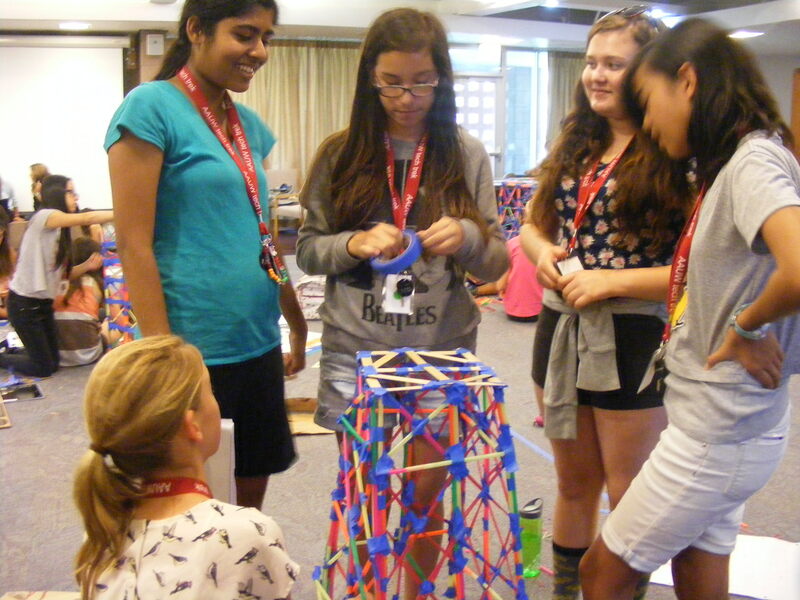 Scholarships for middle school girls to attend a Tech Trek Science, Math, Engineering and Technology (STEM) summer camp at the University of California in Santa Barbara. For the 2018-2019 year eight (8) scholarships are planned. Science teachers nominate students from Judkins, Mesa and Paulding Middle Schools. College scholarships for senior girls. For the 2017-2018 school year four scholarships of $1,000 each were granted; one scholarship was given to an AVID student. The Scholarship Committee has recommended that scholarships for the 2018-2019 school year be increased to $1500 each. Four (4) scholarships are anticipated for the 2018-2019 school year. The Scholarship Committee is a 501(c)(3) tax-deductible entity. AAUW members have worked with the AVID program (Advancement Via Individual Determination) for several years by assisting in mentoring, coaching and offering a variety of activities for students in the Lucia Mar Unified School District. Portrayal of famous women in history, performing in 4th, 5th and 6th grade classrooms, during the month of March, Women in History month. Teachers are contacted with information on presentations. This entry was posted in General Info on January 13, 2016 by judyg.